How can community based river health monitoring be established to complement official or conventional monitoring? This is one of the central questions of the Myanmar Healthy Rivers Initiative (MHRI), and a big step towards answering it has recently been made. 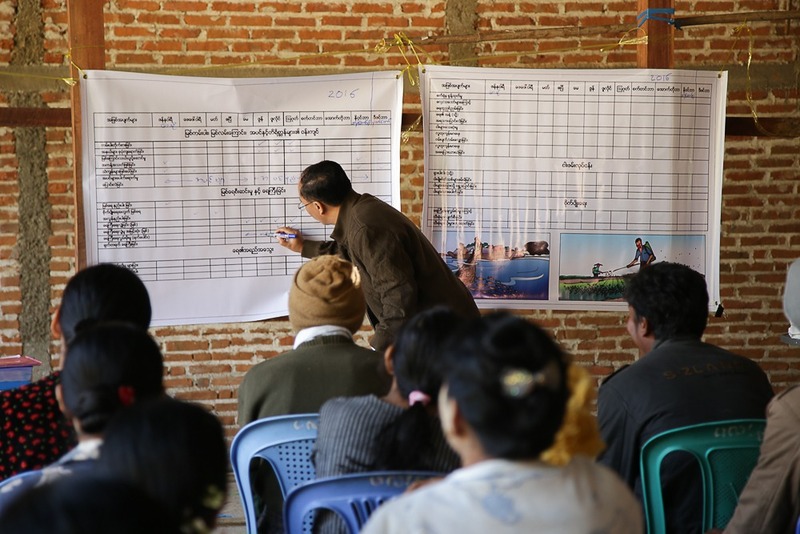 Community members of the six riparian villages that are part of the project received training in river health monitoring, as part of a pilot project that will now run for the next year. The villages are located along two of Myanmar’s largest rivers, the Ayeyarwady (or Irrawaddy) and the Thanlwin (or Salween), both key national resources that provide irrigation, hydropower, water supplies for cities and industries, navigation and transport routes. They are also important ecosystems and support productive fisheries. The aim of the project is to eventually develop and test a River Health Framework for the two river basins, which will help governments and communities monitor the status of services they gain from the river systems to inform integrated water resource planning. 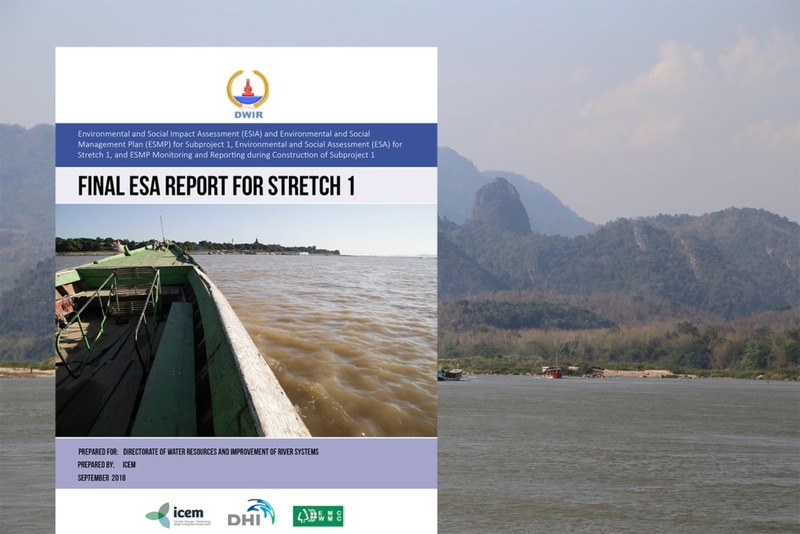 However, since conventional river monitoring is rarely available in Myanmar, government and community stakeholders need to draw on alternatives. The MHRI is exploring new opportunities for monitoring the two rivers’ health from space (remote sensing, global data sets) and from the river bank through community led citizen science techniques. 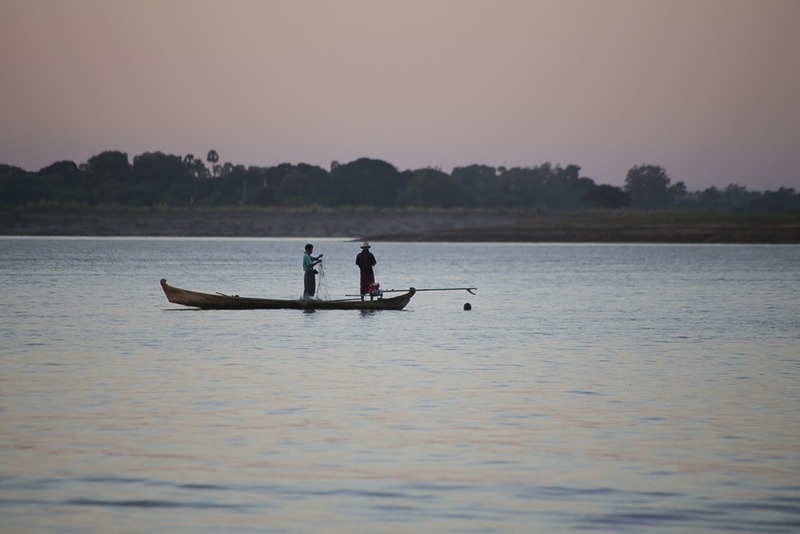 The project recognizes that Myanmar’s riparian communities have valuable knowledge of and potential to monitor river health, and if this can be harnessed, can help to create inclusive and well informed river basin planning and decision making. Some of the community training participants at Pulin Village, with MIID Project and Research Coordinator, Hla Myo Thwe. The recent community training events followed on from a series of baseline assessments in each of the six villages in early-2016, and two consequent visioning workshops in July. The latter brought a range of stakeholders from government, communities and civil society together to share views, better understand the challenges both rivers are facing and define collective visions of what river health means to the people of Myanmar. From these, a manual with a set of river health monitoring indicators and tools that communities can use to monitor the status of the riverine ecosystem was created, and presented to community members. Event monitoring (recording significant events relating to the condition and use of the river, to provide an overview and synthesis of events in different sectors on a yearly calendar). Specific monitoring tools were selected for each of the six villages, depending on the needs and key issues at each village. The opportunity was also used to fill in events calendars for 2016, providing the communities with calendars for 2017 and completing river health surveys. The idea is that communities record the above information, creating a baseline of what normal conditions are, so that changes can be clearly noticed. This is integral to the MHRI, seeing as such information is currently mostly lacking in Myanmar. If the pilot project is successful, it can be up-scaled to include more villages in future. 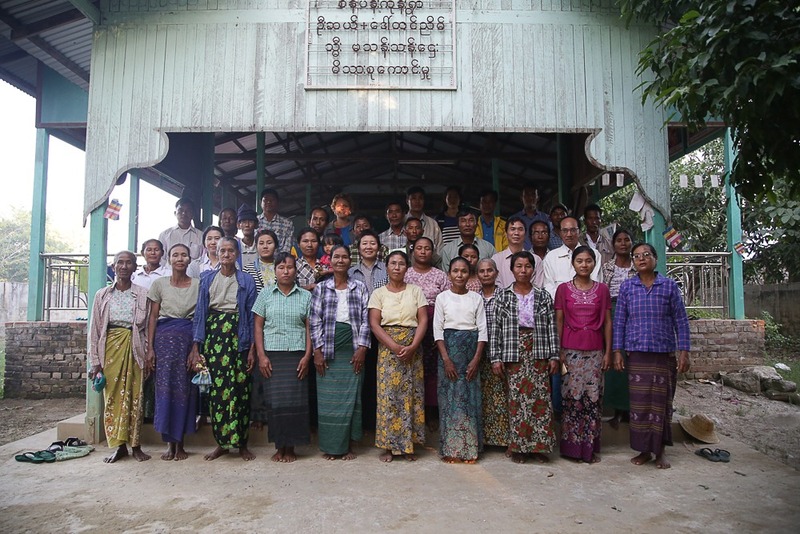 Community training participants at Sein Pan Kone Village, Myanmar. However, the community training events were not all about river health. Sessions on gender equality and natural resources management (NRM), including topics such as safe agricultural practices and climate change were also presented, and received with much enthusiasm from the participants. These components were led by the Myanmar Institute for Integrated Development (MIID) and supported by the Oxfam funded project, Participatory River Management: Promoting Inclusion of Myanmar’s Riparian Communities, which is run in conjunction with the MHRI. They complemented the MHRI river health monitoring training in giving participants practical knowledge and tools for improved NRM and reducing negative impacts on river health. The community training events were run in collaboration with MHRI project partners: the International Water Management Institute (IWMI), MIID, Ecosystem Conservation and Community Development Initiative (ECCDI) with support from Oxfam. The MHRI is possible with support from the CGIAR Research Program on Water, Land and Ecosystems (WLE), the Australian Department of Foreign Affairs and Trade (DFAT), Oxfam and the Ministry of Natural Resources and Environmental Conservation (MoNREC). To learn more about the six participating villages, have a look at the recent poster display that was presented at the 2016 Greater Mekong Forum on Water, Food and Energy. The project will conclude in 2017. The Ayeyarwady River, one of two included in the Myanmar Healthy Rivers Initiative.